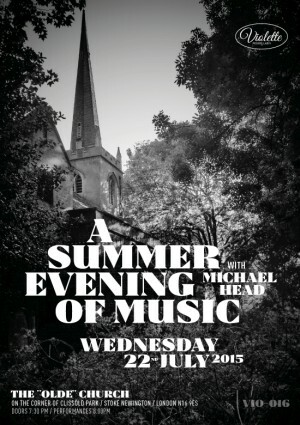 New music by Michael Head is always going to create a ‘Hold the front page!’ moment round these parts. 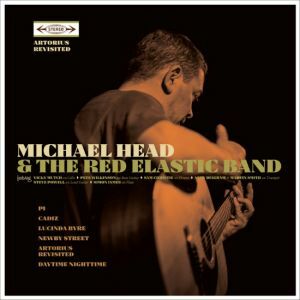 While waiting on the actual vinyl of his Red Elastic Band’s Artorius revisited EP, its purchasers have been sent advance downloads to listen to. (A CD version is now on sale for those who missed out on the vinyl.) Though 6 tracks are listed, it’s effectively 4 songs, with the opener and closer both being short instrumentals. 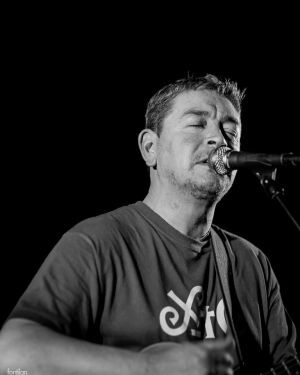 Of those four, ‘Cadiz’ leads the way and is the Michael Head classic you expect every record of his to be peppered with; the redemptive, liberating power of (the dream of) love paired – like the couple on a motorbike imagined by Mick – with a beautiful rise and fall of a melody. ‘Lucinda Byre’ stays at home, referencing a Bold Street, Liverpool clothes shop of that name, and positively aching with nostalgia. You can hear it in both Vicky Mutch’s cello and in Mick’s voice; the same ache with which he sang ‘Full moon’ on an early outing for the Red Elastic Band. Another Liverpudlian address, ‘Newby Street’, gives rise to a swift two and a half minutes’ chug, propelled by Andy Diagram’s and Martin Smith’s brass; it feels like it could have appeared on either the first Pale Fountains LP or the last by Shack. Finally, ‘Artorius revisited’ is inevitably imbued with the spirit or perhaps more accurately on this occasion the ghost of Arthur Lee, and is as close to being the song that accidentally got left off Forever changes as anything Mick has recorded before. I tend to like Mick’s pronounced Love moments less than when the influence and inspiration is simply stirred into the pot, but then again, who else can write songs to match or better Arthur Lee’s? That said, it’s great to have Mick back, and hopefully this is just the start of a run of releases nurtured into being with the same care and attention to detail as this first one from Violette Records. Its name was always going to tempt me to investigate, but I’m glad I did, because Fontlian is a site worthy of the song it honours. First, it’s visually striking, down in no small measure to the great photographs. Second, its words intrigue and amuse. And third, you get a choice and varied selection of tunes. Well worth adding to your regular bus route round the blogosphere. And for those of you who don’t know the song in question, Fontilan has posted the demo version here. What a spread. If you’re a fan of Shack, Michael Head & the Strands, the Pale Fountains, or John Head as a slowly emerging and wonderful songwriter in his own right, then accept the Captain’s invitation and sit down for a dinner that would have satisfied Admiral Lord Nelson himself – downloads of live performances, sessions, and demos dating from this year all the way back to a live performance by the Paleys in 1981. I’m working my way through them from either end, and there are treats aplenty. That Paleys show – at Plato’s Ballroom in Liverpool – is as gloriously ropey as it is historic (they dared to start with a flute solo! In 1981! Five years after punk! ); Mick bellows like a bull at times. John Head’s solo performance from the Port Eliot Festival earlier this year shows that sooner or later he is going to produce a solo LP to match all the wonderful albums of song writing assembled by his brother over the years. It includes a great song, ‘1967’, reversing the usual point of view about meeting your hero – in John’s case, Arthur Lee of Love. Then – now somewhere in the middle of the story, and the downloads page – there are the legendary Shack Kitchen demos (more accurately recordings or run-throughs, I would say), throughout which the Head brothers prove themselves just as adept as XTC at donning sixties garb, and – most exciting of all – the demos for The magical world of the Strands. Inevitably somewhat plainer than in their final, perfected forms, the demos nevertheless exert a fascination of their own. You can see why the man behind Megaphone was willing to risk his money on a musician who in 1996 had fallen out of favour. It’s like Andy Partridge’s Fuzzy warbles, except online and gratis. Shacknet, we salute you. While we’re on the subject, here’s a 2003 Stylus article by Nick Southall about The magical world of the Strands which pretty much perfectly captures what makes it one of the greatest records ever made.